I had no idea what kind of title I should use for this post, since this is more about to talk about different solutions which I find interesting for the time beeing. and a couple of years ago when deploying a VDI solution you needed to have a clustered virtual infrastructure running on a SAN, and the VMs where constricted to the troughput of the SAN. Now traditional SAN’s mostly run with spindel drives since they are cheap, and has huge storage spaces. For instace a PS6110E Array http://www.dell.com/us/business/p/equallogic-ps6110e/pd Has the ability to house up to 24x 3,5” 7,200 RPM disks. And based upon these two “issues” many new companies have their starting grounds. One thing I need to cover first is that both Microsoft and VMware have both created their own way to deal with these issues. First Microsoft has created a solution with Storage Spaces with SMB 3.0. Storage Spaces is a kind of software raid solution running on top of the operating system and with features such as deduplication and storage tiering which allows data to be moved from fast SSD’s to regular HDD depending on if the data is hot or not. Storage spaces can either be using JBOD SAS or internal disks depending on the setup you want. And with using SMB 3.0 we have features such as multichannel, RDMA. Both of these solutions makes it easier for us to build our own “SAN” using our regular networking infrastructure. 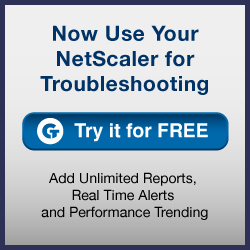 But note that this still requires we have a solid networking infrastructure, but this allows us to create a low cost SAN with a solid performance. 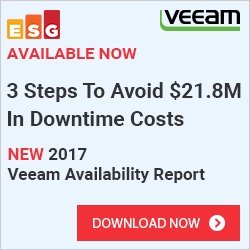 Vmware has choosen a different approach with the VSAN technology. Instead of having the storage layer on the “other” side of the network, they built the storage layer right into the hypervisor. * Microsoft still has the storage layer outside of the host but dramatically improves the networking protocol and add storage features on the file server. * VMware moves the storage layer ontop of the hypervisor to move the data closer to the compute roles. Now based on these ideas there are multiple different vendors which in essence bases their solution on the same. First of we have Atlantis ILIO http://www.atlantiscomputing.com/products/, which is a virtual applicance which runs on top of the hypervisor. Now I’ve written about Atlantis before https://msandbu.wordpress.com/2013/05/02/atlantis-ilio-2/ but in essence what it does is create a RAM disk on each host, and has the ability to use the SAN for persistent data (of course after the data has been compressed and deduped leaving a very small footprint) Now this solution allows virtual machines to run completely in RAM meaning that each VM has access to huge amounts of IOPS. So Atlantis also runs ontop of each hypervisor so it runs to close to the compute layer as possible and is not dependant on having high-end SAN infrastructure for persistence. Secondly we have Nutanix, which unlike the others is not a regular software based approach, they deliver a hardware+software platform http://www.nutanix.com/the-nutanix-solution/architecture/#nav which has a kind of lego based approach, where you buy a node and compute and storage are locally and you can add more nodes to scale upwards. With Nutanix there are controller VM’s running on each node which are used for redundancy and availability. So in essence Nutanix have a solution which resembles alot of VSAN since you have the storage locally to the hypervisor and you have logic which is used for redundancy/availability. 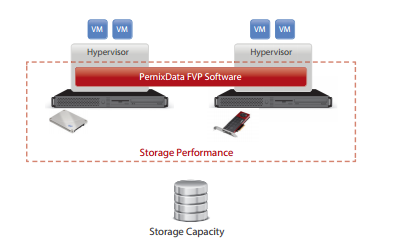 And we also have PernixData which has their FVP product, which caches and accelerates reads & writes to the backend storage. Writes and reads are stored on the aggregated cache (which consists of either a flash drive such as Fusion-IO or SSD drives locally on each node) which allows IO traffic to be removed from the backend SAN.